Each NHS Trust has its own criteria for entry so there’s really no defined path for this career. That said, we’ll tell you what to study to become an ambulance driver as qualifications will help you get a step onto the career ladder. Whether you have qualifications or not, the ambulance service will have a role that’s suited to you. There’s lots of opportunities for career development in this job and you’ll get loads of on-the-job training, so you earn while you learn. You can study for formal qualifications while working, which can be to degree level. If you want to work in the ambulance service now and you have good GCSEs, you can apply. 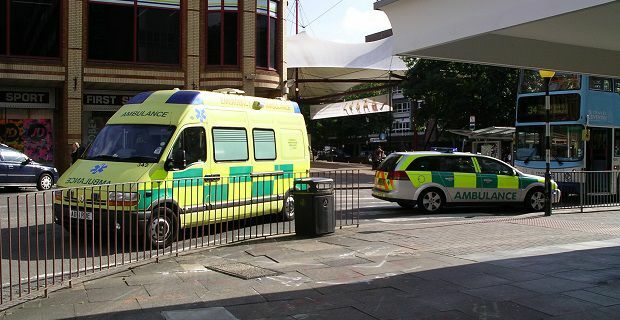 Local ambulance trusts have different entry requirements but most ask for GCSEs or an NVQ or the equivalent, although some also recruit those with the appropriate work experience. However you get in, you’ll need a full, manual driving licence, and those who passed their test before 1996 may also need to take a supplementary driving test to allow them to drive large vehicles. If you have a diploma, foundation degree and/or BSc honours degree in a course approved by the Health and Care Professions Council, your chances of getting a job will greatly increase. These courses are modular so they can be fitted into a busy lifestyle. These courses are great because you can continue studying when they’re finished and eventually convert a foundation degree into an honours degree. Assuming you take the degree route, you can then enter the ambulance service as a trained paramedic. An Emergency and Urgent Care Practice degree could allow you to begin your NHS career as a qualified paramedic. For more on the subject check out nationalcareersservice.direct.gov.uk.